The Office of Insurance Regulation company search service can provide full names, business addresses, and identifying information for companies/entities doing business in the State of Florida. Please view the disclaimer before using this service for the first time. You can search by any combination of company name, company type, address type, and authorized lines of business. To search by name, type in as much of the company's/entity's name as you think is accurate. The service will provide a list of results, if more than one possible match to your search is found. Once a match is found, you may review the list of Companies in Receivership to see if the company has been placed in receivership. For AGIC, Inc. (NAIC code 13698), the PIP Contact is Kathryn Kaufman, 4054 Sawyer Road, Sarasota, FL 34233, phone (941) 256-8893 fax (941) 256-8733 (no email). Due to its status as a suspended company, AGIC, Inc. will not appear in the search below. The Florida Office of Insurance Regulation (“Office”) provides access to company and other information on this Web site as a public service. Although reasonable efforts have been made to ensure that all electronic information made available is current, complete and accurate, the Office does not warrant or represent that this information is current, complete and accurate. All information is subject to change on a regular basis, without notice. The Office assumes no responsibility for any errors in the information provided, nor assumes any liability for any damages incurred as a consequence, directly or indirectly, of the use and application of any of the contents of the Office Web site. 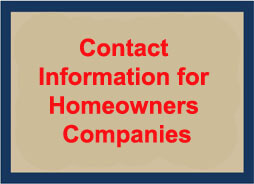 Unless otherwise noted on an individual document, file, webpage or other Web site item, the Office grants users permission to reproduce and distribute all information available on this website for non-commercial purposes and usage, as long as the contents remain unaltered and as long as it is noted that the contents have been made available by the Florida Office of Insurance Regulation. Any electronic information or inquiries that the Office receives from a Web site user shall not be considered as, or treated as, confidential. The inclusion of, or linking to, other web site URLs does not imply our endorsement of, nor responsibility for, those web sites, but has been done as a convenience to our Web site visitors. Risk Retention Groups are not authorized insurance companies. This Risk Retention Group (RRG) is not chartered in Florida, unless after clicking on the Company Name, the “Home State” is designated as Florida. The Federal Liability Risk Retention Act of 1986, 15 U.S.C. 3901, designates the primary regulatory oversight of an RRG to be its chartering state. Florida does not issue a certificate of authority or any other approval to a RRG not chartered in Florida, but the federal law allows this RRG to operate. State insurance insolvency guaranty funds are not available for Risk Retention Groups.